We have reduced time of handling of requests for production of weight lifting equipment and have created warehouse stocks of finished goods. Now you can immediately purchase the ready crane. The CONSOLE CRANE (load-carrying capacity of 0,25 tons) - 1 unit. Movement hoists with the electric drive. Control of the crane is exercised from the suspended panel. Group of an operating mode of the crane – A3. 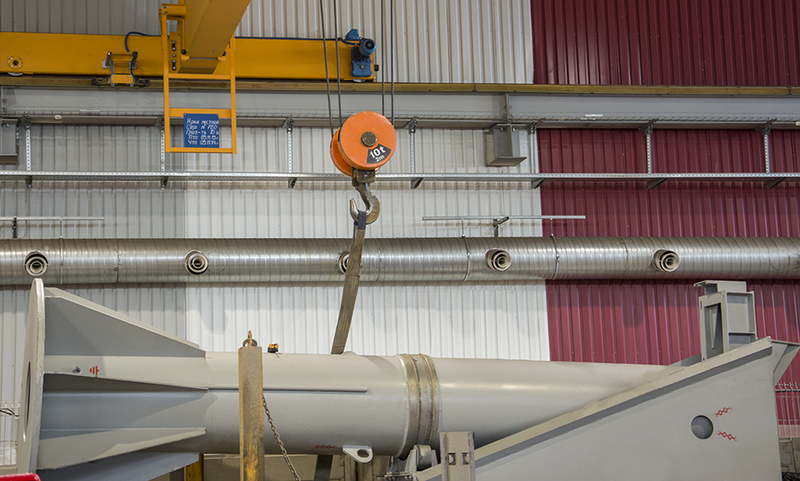 Load lifting height – 3,29 m.
A working departure of the console – 7 m.
A console angle of rotation – 270 °. Load gripping body – a hook. Manual mechanism of turn of the console. Temperature of operation is from -10 °C to +40 °C. 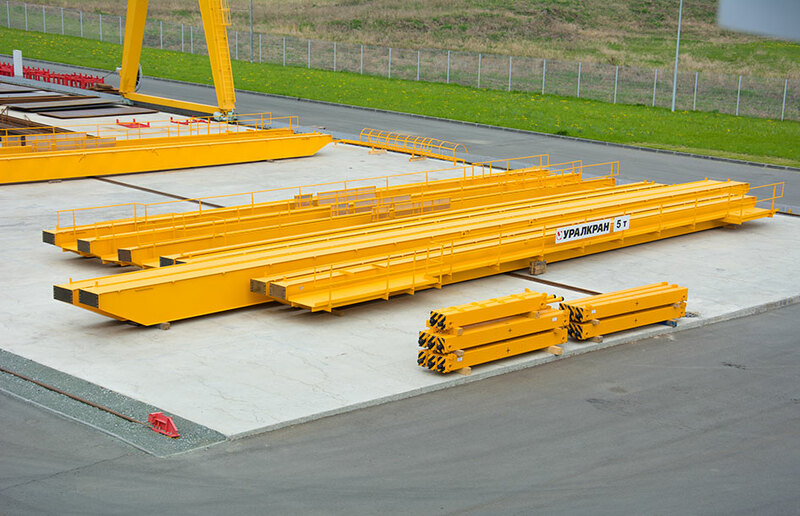 The CRANE CONSOLE (load-carrying capacity of 0,25 tons) - 1 unit. Portable hoist with the electric drive. Relay and contactor management system. Load lifting height – 3 m.
A working departure of the console – 3 m.
A relay and contactor management system on rise and movement of a waist, the frequency converter on movement of the crane. Group of an operating mode of the crane – A5. 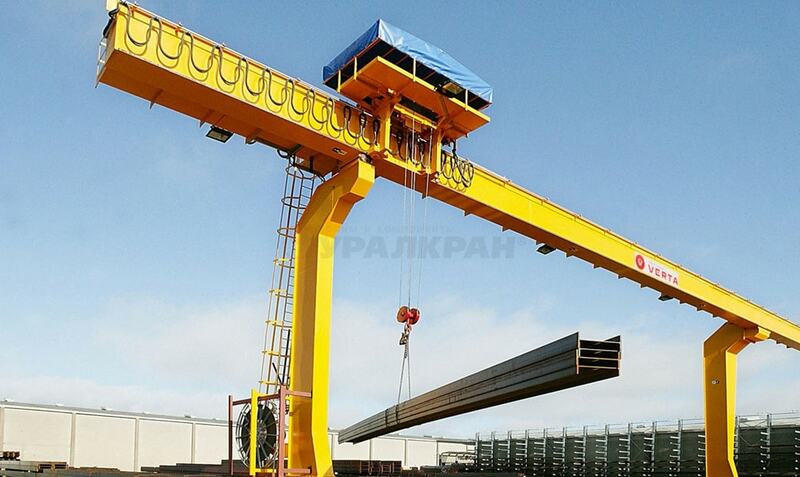 Flight of the crane – 7,5 m.
Load lifting height – 8 m.
The drive of mechanisms movement of the crane – the motor reducers. Temperature of operation is from -20 °C to +40 °C. A relay and contactor management system on rise, the frequency converter on movement of the bridge crane and a load trolley. Control of the crane is exercised of the radio panel. Flight of the crane – 19 m.
Load lifting height – 7,5 m.
An operating mode of cranes/mechanisms – A5/M5. Flight of the crane – 32 m.
Height of raising of a hook – 10 m.
A departure of consoles – 6 m.
- movements of the crane – 0,9 m/s. Management system crane drives: frequency converters. Type of management: radio control. Execution of the crane and mechanisms in accordance with GOST 15150-69: U1. The crane is fully completed and ready to installation.